New Orleans beguiles visitors with its food, culture, and history—and you can experience it all in one fun-filled day. Whether you’re trying your first seafood gumbo, jumping into an impromptu parade, or dancing the night away, remember the city’s tagline: Let the good times roll. Here’s how to spend an unforgettable 24 hours in the Big Easy. Wandering around the French Quarter is a great introduction to the city’s culture and history, and the area is magical before it truly wakes up in the morning. Dine on beignets and café au lait at Café du Monde, stroll through Jackson Square, admire the architecture, and peek in the boutiques. Consider a food-themed walking tour, going up the levee for a view of the Mississippi River, shopping for souvenirs in the French Market, or seeing the ornate St. Louis Cathedral. Don’t miss the Cabildo, once the seat of the local Spanish government and now the Louisiana State Museum. New Orleans’ charming and historic neighborhoods are filled with colorful shotgun houses framed by ancient oak trees. To see multiple areas and attractions in a short time, try a hop-on hop-off bus tour. For more targeting sightseeing, consider a walking tour of the leafy Garden District, with its Greek Revival architecture and the verdant landscapes that give this area its name. Also worth visiting is Lafayette Cemetery #1, one of New Orleans’ famed Cities of the Dead, whose above-ground tombs house some of the city’s most famous residents. Or get a taste of the city’s renowned drinking scene with a cocktail walking tour. New Orleans continues to intrigue well after dark, with everything from live music and river dinner cruises to ghost walking tours. If your interests veer toward the macabre, consider a nighttime ghost and vampire tour through the Garden District or French Quarter. This is, after all, a thoroughly haunted city, whose dead continue to interact with the living. Should you favor an experience that’s not nearly as creepy, opt for a dinner cruise on the Mississippi River. Board the historic Steamboat Natchez, for example, and dine on Creole favorites while you’re serenaded by a jazz band. Who doesn't like ghosts and vampires save for their unfortunate victims? If you're looking for a family-friendly night activity in New Orleans, then this ghost walking tour of the French Quarter might get your blood flowing. 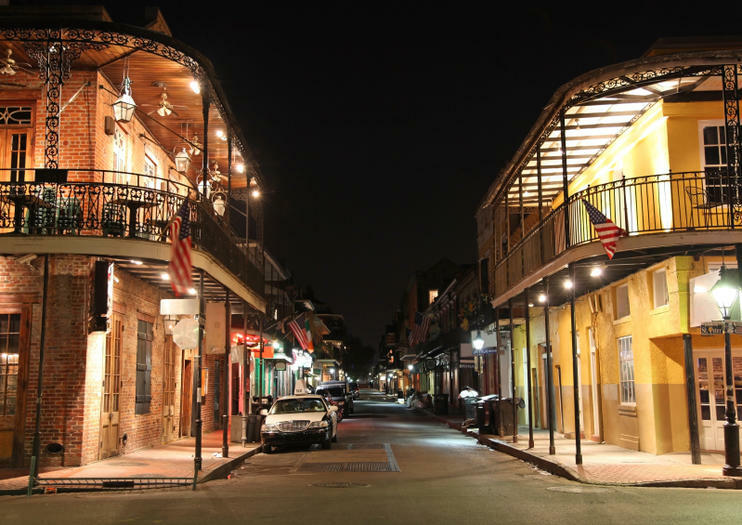 With a small group, you'll wander through the darkened streets for a fun, historical tour of New Orleans, and listen to tales of ghoulish invincibility and souls returned from the dead. Discover New Orleans’ vibrant history through its dynamic history on this 4-hour sightseeing tour! Enjoy a small group van ride through the city, viewing the diverse architectural wonders of the French Quarter, the Garden District, Esplanade Avenue and Bayou St John. You’ll disembark for small-group walking tours of the St Louis Cemetery No 3, City Park, and the Longue Vue House and Gardens — a masterpiece of architectural and horticultural history. Witness the extravagant and spiritual sides of New Orleans this 3‐hour city and cemetery sightseeing bus and walking tour. See culturally infused architecture in the French Quarter, stunning mansions in the Garden District, and the famous Lake Pontchartrain Causeway en route to St Louis Cemetery No 3. There, meander through a maze of haunting mausoleums including that of Marie Laveau, the city’s most revered voodoo priestess.